PACE participated in the 2012 NAMIWalk Orange County on Oct 6, 2012, 7:30am in Huntington Beach, CA. The walk was a great success! So far this year the NAMIWalk Orange County has raised $121,682, and donations will be accepted until December 1, 2012. 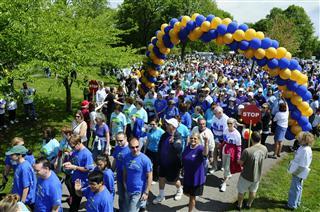 The NAMI walk is one of the largest and most successful fundraisers for mental health awareness in America. NAMI's main goal is to ensure that people suffering from mental disorders get the help that they need. The Men of PACE understand that participating in service work is part of a solid recovery program.